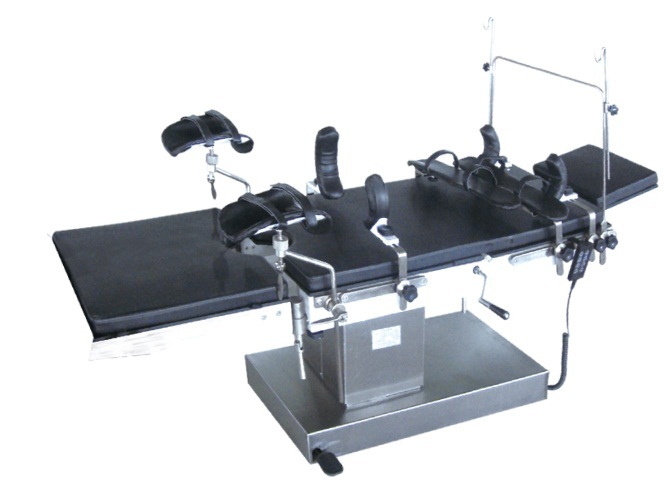 Description: this table is designed for brain surgery. And it also can be used to Other surgeries such as neck, chest, abdomen, perineum, limbs, obstetrics, urology, ophthalmology, otolaryngology. 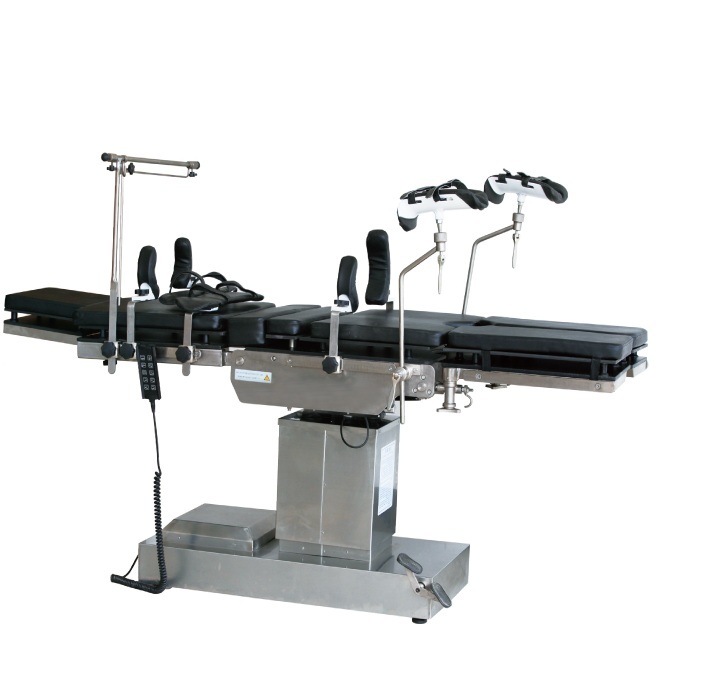 It is a universal operation table with multi-function. The outstanding advantage of this table is that the board floor can be adjusted lowed than other types. It is especially suitable for doctors to sit during the process. What's more, it has its head frame to match it. 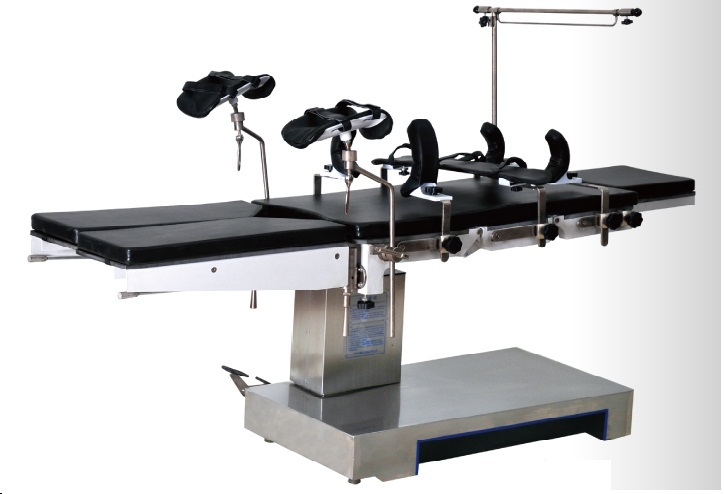 This table is controlled by motor, stable, easy to manipulate. With lower noise, very flexible to adjust the board floor, head board, back board, sitting board, waist board and leg board.